I Love You – Three words but full of meaning. For someone, this means a lot, sometimes everything. By just uttering these three little words can make one’s day complete. 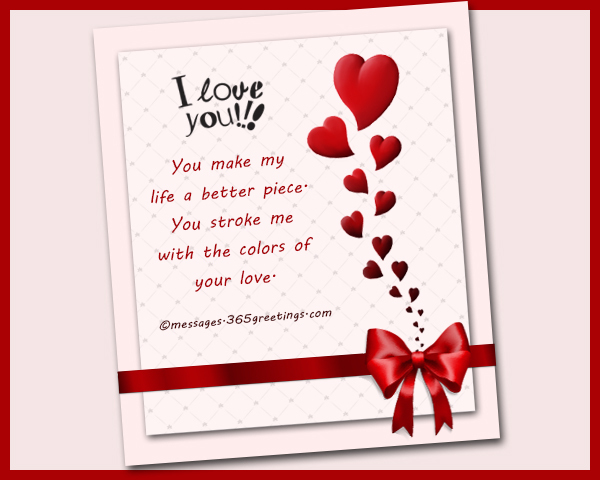 This also express your true feelings towards you better half and partner. 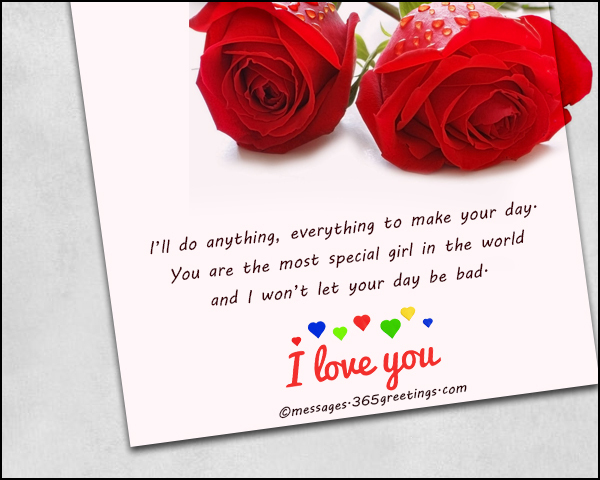 Make her day complete and wonderful by saying the romantic I love you message. Don’t know how to say I love you in a more romantic way? 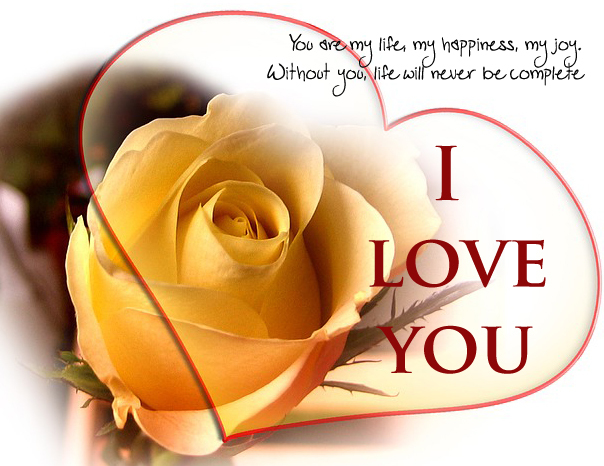 Here are some I Love you messages for her that you can use to express your feelings to that special lady of yours. 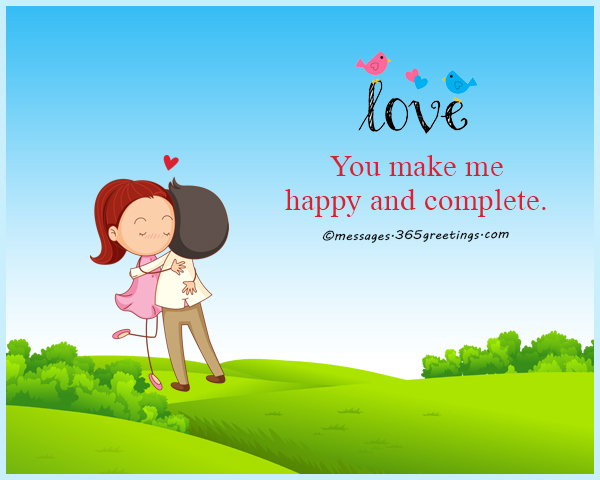 We chose the best sets of romantic love messages for her to express your heartiest feelings towards your special someone. 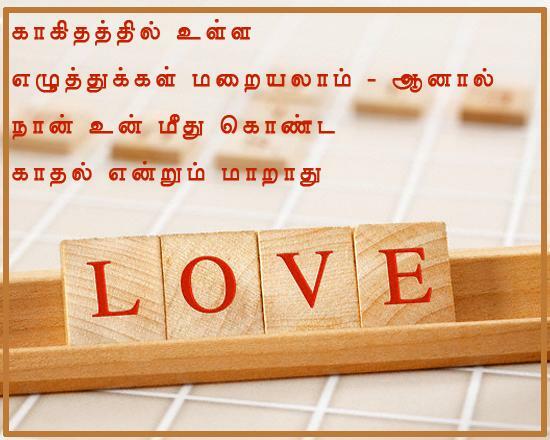 Feel free to use these messages of I love you as SMS or love text messages. Posting them on facebook and twitter is very much welcome as well. but be assured that you’re the only love of my life. I can’t fake what I feel. I can’t hide that it’s real. You are the only girl I want to marry someday. This means I love you. I really do. 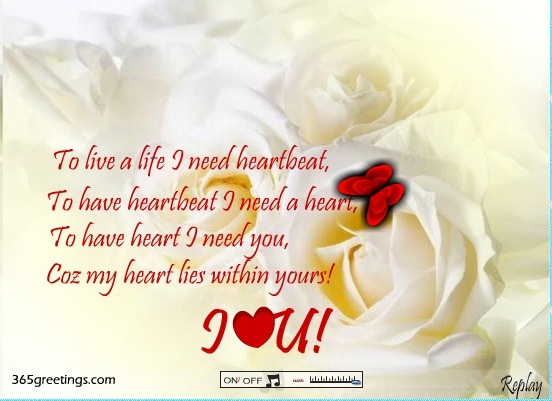 If my heart can speak it will just utter one beat. I’ll do anything, everything to make your day. and I won’t let your day be bad. I pray all of the things we dreamed together will come true. If it happens, I will be the happiest man in the world. There’s one thing on earth I never wanted to end. I Love you so much dear! But it takes forever to prove that I do. Nevertheless, I’m not ashamed or afraid to prove my love for you. Love is a special gift. Therefore my love is you. 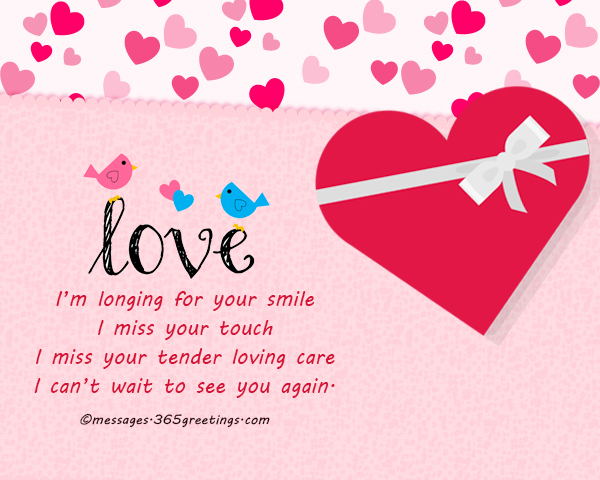 Let your girlfriend know how much you miss and love her with these love text messages for her. Feel free to comment and put these messages of love to your facebook status and tweet it on your twitter account. You are my life, my happiness, my joy. In my dreams, when I’m awake, I’m always thinking of you. I just want you to know that I’m missing you so. I can’t help but to think of you. Even when I am busy, you still keep running in my mind. There’s no word can ever express my love for you. I need you and I’m missing you always. But you’re keeping my heart with you. I miss you. Looking forward to see you again. I love you very much sweetie! 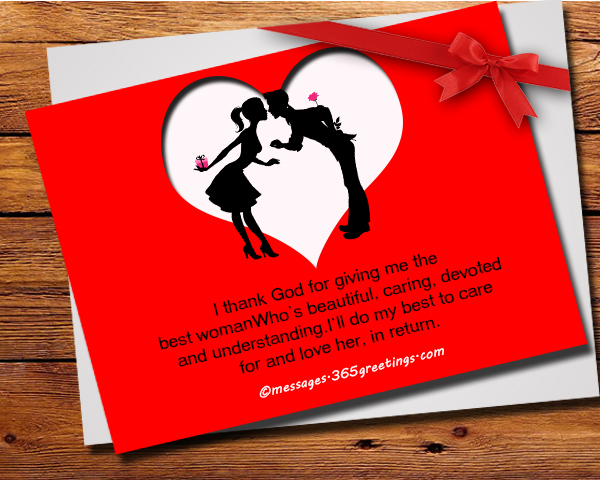 Let her feel the love and romance again by renewing it. 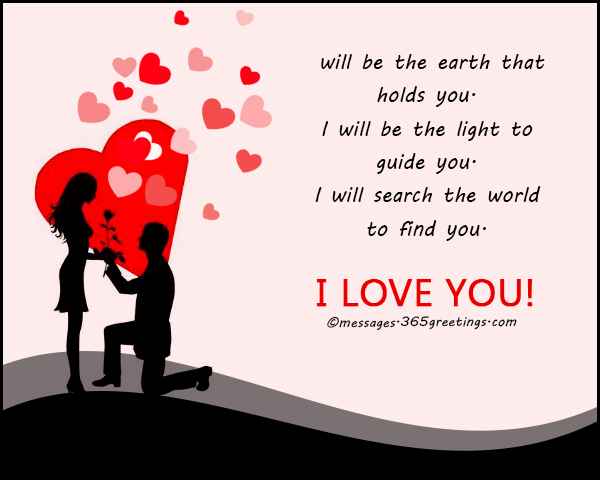 You can do this by uttering romantic love messages to her ears and remind her the wonderful thing you love on her. Make her feel beautiful and sweep her off her feet once again. 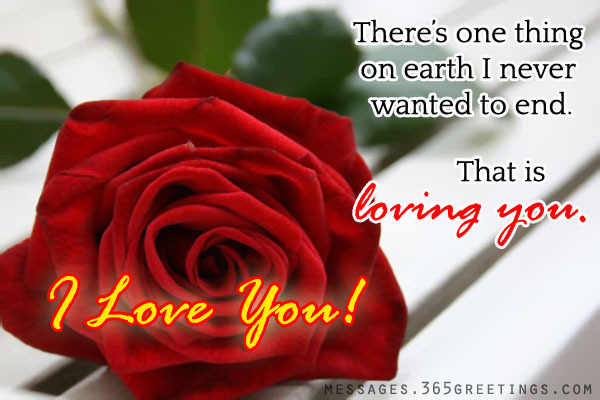 These best love messages for her can surely make her fall for you once more. Who’s beautiful, caring, devoted and understanding. I’ll do my best to care for and love her, in return. Babe, thank you so much for everything. For your support, care and affection. You’re always there to support me. I’ll try to make it up with you by loving you sincerely. And I really wish that this never ends. If distance is keeping you apart, then SMS service comes handy. All you to do is type these love quotes and send instantly. Including the words “I love you” and “I miss you” will make her reply to you. I will be the earth that holds you. I will be the light to guide you. I will search the world to find you. Thank you for the trust you have given me. I promise you to be man enough to give you back that same trust. You are the best present God has ever given me. That’s why I take care of you so much. If I have to wait until forever, I will be waiting for you. I could safely say that my life is already complete if you are already mine. You influenced my whole life. Because of you, I am a better person now. You have the most adorable smile in the world. It can brighten up a room full of sad people. And most importantly, my day won’t be complete without seeing you smile. I still look up to you as a royalty. those notes properly next time. 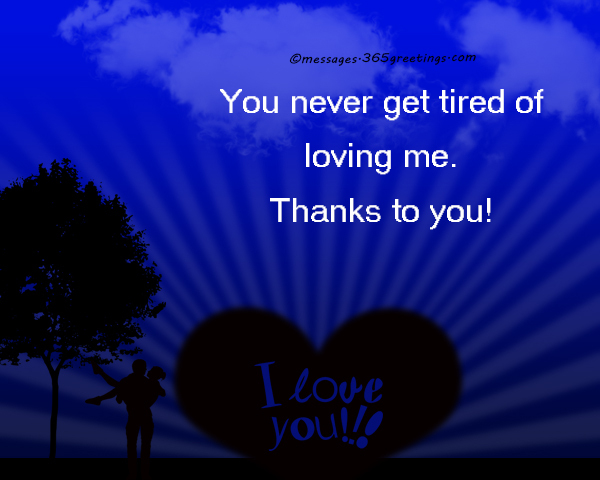 Here are some I love you messages that can help you express you eternal love to your someone special. 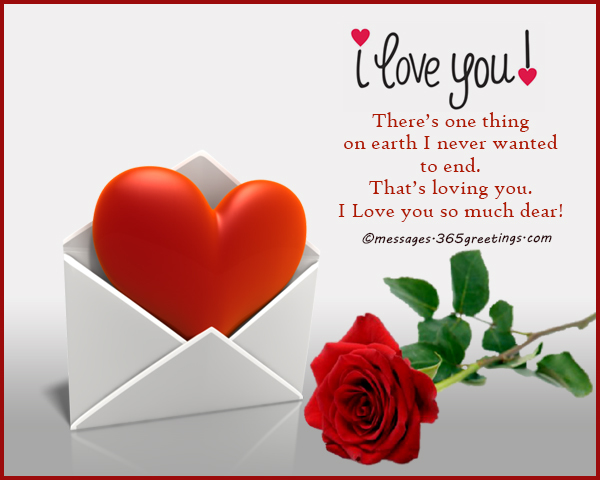 These love messages and romantic messages can sweep them of their feet upon reading or receiving. 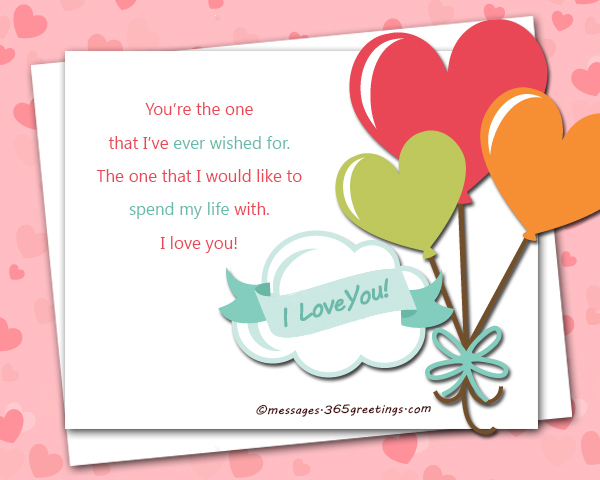 You can send these I love you messages in different forms such as love sms messages, love text messages, love facebook status or love card messages. 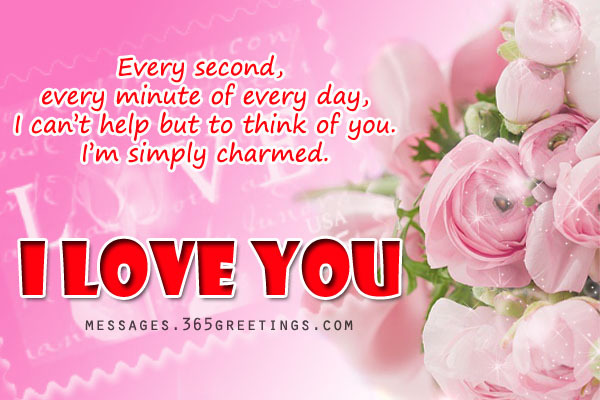 These love sms text messages would surely help you say I love you to your special someone. You make my life a better piece. You stroke me with the colors of your love. The fact is; you embody all words of love there are in the world. You made my life worth living. Thank you for making me worth of your love. You love just made me realize how much God love me for all these years. For he gave me a special person who will make me feel so loved and cared for. And there’s nothing I could ask for more. 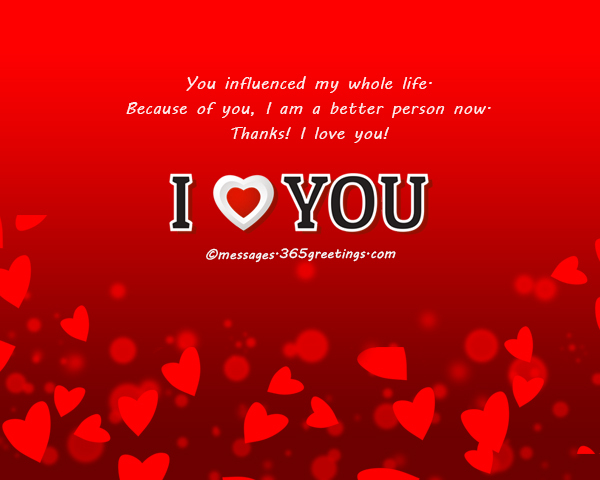 Loving you inspires and encourages me to become a better person. I will try my best to give you the love and caring you deserve. We may have some quarrels and misunderstanding sometimes. But that doesn’t change one thing: I LOVE you. The love we share will always be special. So fragile that I won’t do anything that will break it. You’re the one that I’ve ever wished for. The one that I would like to spend my life with. Being in love makes you become young at heart. 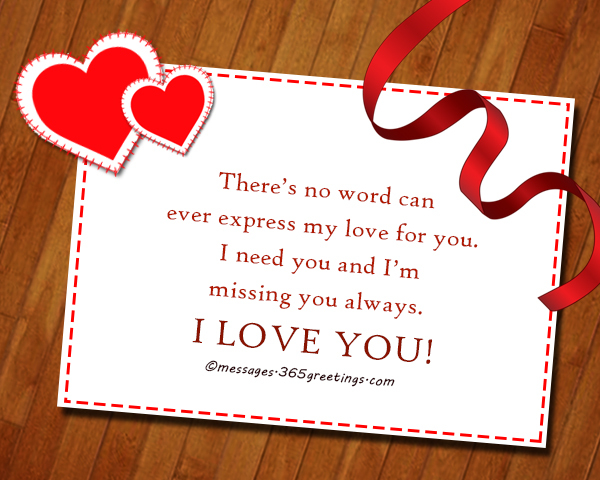 Shower your partner with cute love messages and romantic love quotes that he/she will truly appreciate. 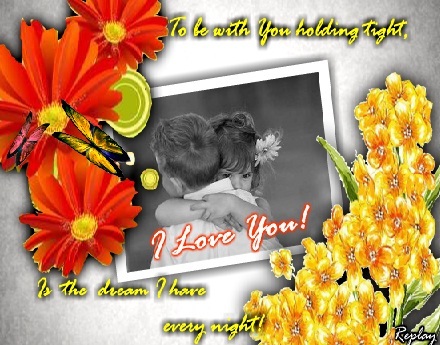 Here are some samples of love wordings that you can use and share. Isn’t it nice to start each day with you on my mind? I will cuddle you tightly like a teddy bear so you will feel the warmth of my love. I will eat you up to the last bite if you are a chocolate. I love your sweet love. You are a salt that gives flavor to my life. I keep on searching for you the way I am running after a job. You are every breath I take. I miss you every minute of the day. I love you because accepted me as I am. 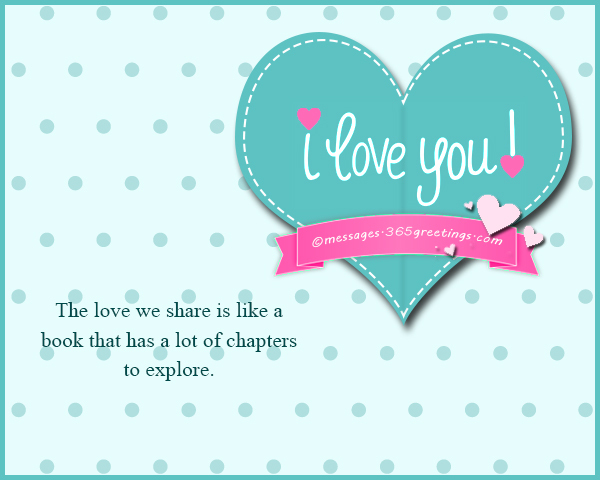 The love we share is like a book that has a lot of chapters to explore. It is hard to fall in love and stay in love. But you make it easy for us. It all the humor that keeps us going stronger. If I am a cat, I will keep on chasing after you until I caught you here by my side. You are like comfort room that I cannot live without. You never get tired of loving me. Life is boring without your love that shouts loudly in my life. You are the only cure against my misery. I am a worm that bloomed into a beautiful butterfly because of your love. Your scent lingers even if you are away. I love your moves. It makes me go crazy. You are like a sun. Aside from the light you give, you are so hot as well. You make me happy and complete. You are a toy that makes me enjoy. I love you! It is doomsday when you are not here by my side. I am in gloom when you are away. Please be here always. Loving you is a tough job. I do not care because it compensates me a lot!